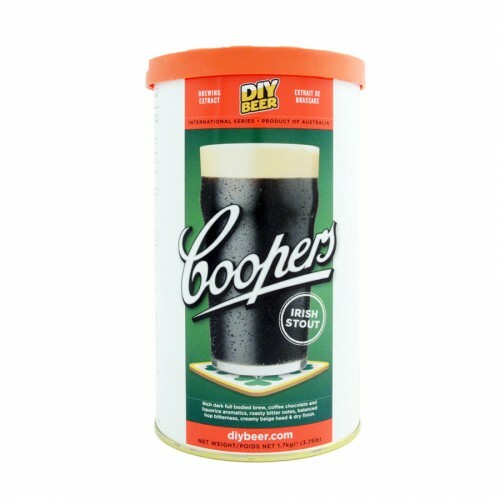 “Stout” beer kit for the production of 23 litres black beer with a creamy and long-lasting foam. It is the typical black beer, characterised by a full body with intense characters of fruit and malt, a roasted aroma well balanced by its bitter hop taste. Suitable to wiser admirers. The package contains a dry yeast sachet. To be served at 14°C. Ingredients: BARLEY malt, water, hop (min. 0,5%), dried yeast.